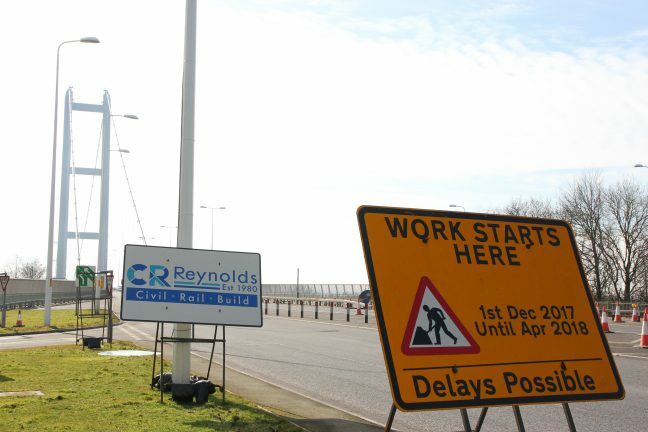 Motorists are being urged to drive with care on the southbound lanes of the Humber Bridge from this weekend as essential engineering works re-start. The scheme to replace the expansion joints at each side of the 1.4-mile long bridge will continue until May 2018 and involves the use of temporary safety ramps to enable traffic to use both lanes as much as possible. The work will re-commence at 7pm on Friday 9th March with overnight working on weekdays until 6am, and throughout a number of weekends until the works are complete. The work is being carried out with lane closures to ensure that the safety of the public and workforce is maintained at all times. Motorists with HumberTAG accounts will need to use the toll booths during these periods and drivers are urged to allow extra time for their journeys, as there is a speed restriction of 30 mph across the bridge and it will be 20mph at the ramps. Residents who live close to the Bridge in the Hessle area are being notified of the work directly, as noise levels may rise briefly during the middle of March as the old joints are removed. For the latest messages, the public can follow us on Facebook and Twitter or by checking this website.